Ok, so picture this. A child getting a toy they’ve been wanting “forever”. A bride on her wedding day. The biggest football fan that you know watching his team win the super bowl. What are you picturing? Cheers, dancing, shouting, smiles, tears of joy and excitement, jumping up and down…basically just lots of outward displays of joy. And if you ask me (which you clearly did not) : ) those are just small joys. 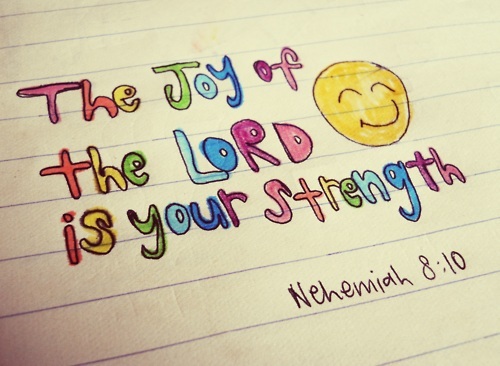 Ok, now think about being in God’s presence and experiencing fullness of joy.What comes to mind? If you’re anything like me it’s something much more subdued than the previously mentioned scenarios. But why? Is it because that’s what we’ve been conditioned to think? Wow. Doesn’t that amazing? Don’t you want to live in that place? Because we’re totally invited to spend every second with God, without any separation. In fact, a great price was paid so that we could live in God’s presence 24/7. I know my thoughts are a little scattered, but it’s basically like this – what if sometimes when we really get close to God in the secret place, in cooperate worship, in our car with a friend we find ourselves celebrating with crazy joy? Dancing, singing, shouting, twirling and yes…even…smiling! What if joy were fun?